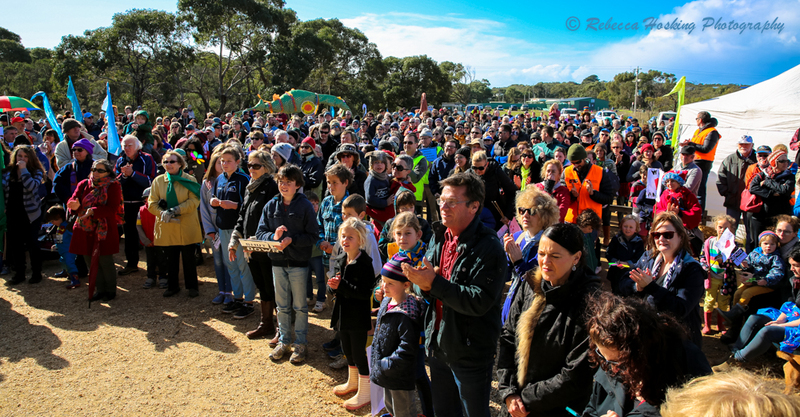 A 700-strong community rally in Anglesea has thrown down the gauntlet to Aluminium giant Alcoa and the Napthine government, calling for a polluting coal power plant to be shut down. 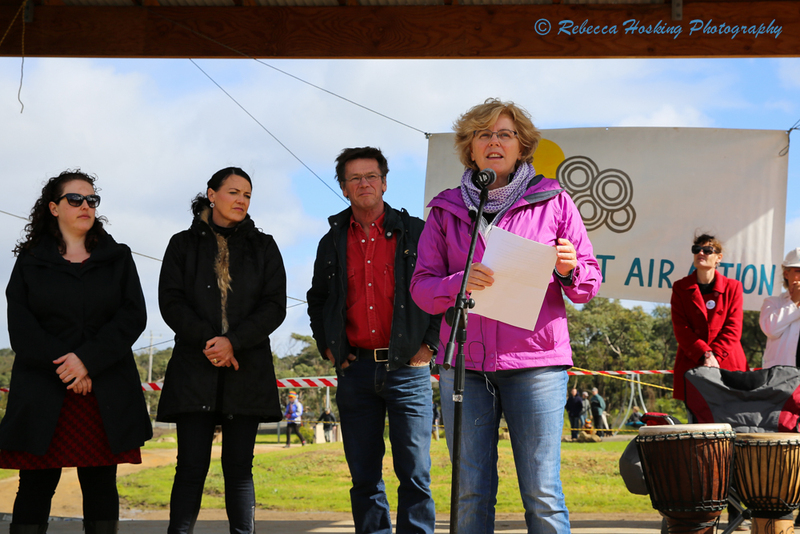 The rally was organised by the local community group, Surf Coast Air Action, with the support of Friends of the Earth. 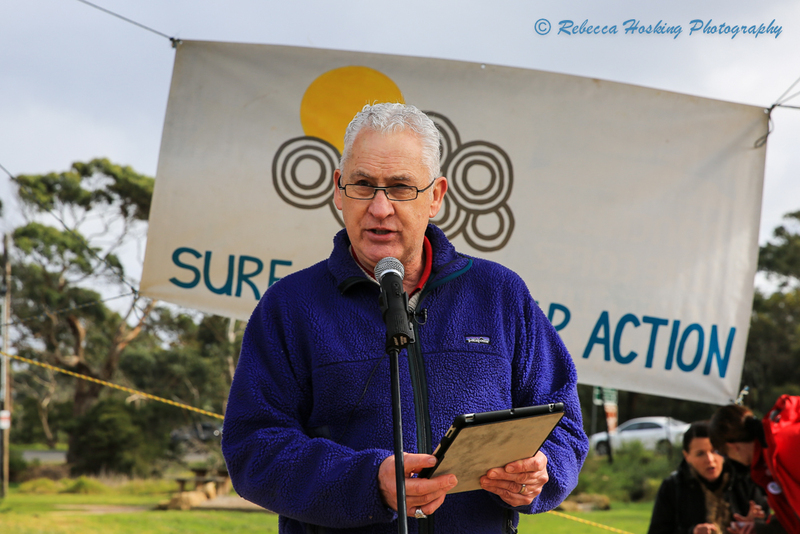 The event featured weatherman and climate change expert, Rob Gell, as well as presenters from Environment Victoria, Doctors for the Environment Australia and GetUp!. For fifty years, Anglesea has hosted a coal mine and power plant. Today, the community had a simple message for their guest: it’s time to shut it down. Community members cite public health concerns in their call for the power plant to be retired and the mine remediated. The plant, which is Australia’s third largest emitter of sulphur dioxide, a known respiratory irritant, is located just 500 metres from a primary school. Friends of the Earth think it’s time to put public health ahead of pollution, and Anglesea’s aspirations ahead of Alcoa’s profits. Alcoa and the Napthine government have been notable silent about the future of the Anglesea coal mine and power plant. Will Anglesea do the right thing by the community and shut the power plant down? Will the Napthine government get off the fence and help the community transition? Friends of the Earth has supported 27 communities across Victoria who have declared themselves coal and gasfield free. On Sunday August 10, Anglesea declared its’ intent to join them. The ‘Shut It Down’ campaign will take its case to prospective buyers, energy retailers and the banks. 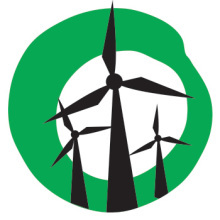 The group says there’s no social licence to operate a coal power plant or mine in the town. 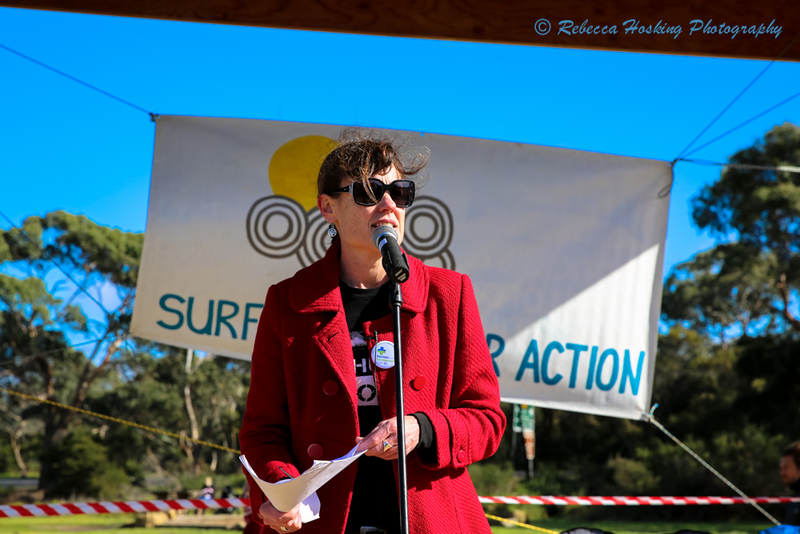 Sign Surf Coast Air Action’s petition calling on Alcoa’s polluting power plant to be shut down to protect public health, the local environment and jobs on the Great Ocean Road. Follow Surf Coast Air Action on Facebook and Twitter. A massive crowd of 700 gather say “Shut It Down” in Anglesea. The weatherman, Rob Gell, throws his weight behind the “Shut It Down” campaign. Surf Coast Shire councillors speak to the crowd about the future of the coal mine, power plant. Friends of the Earth’s Leigh Ewbank fires up the crowd.